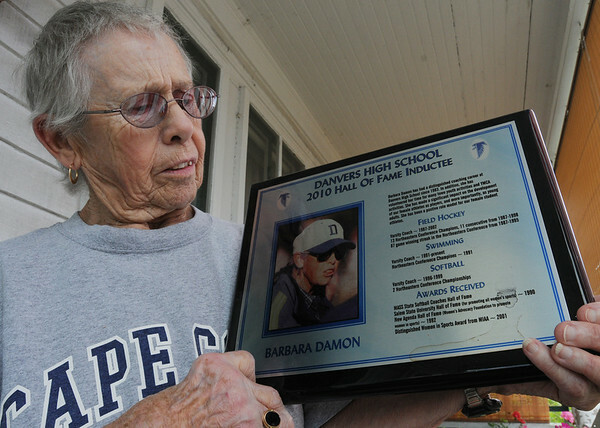 Coach Barb Damon holds her Danvers High School 2010 Hall of Fame Inductee plaque. Her 1988 team won the North sectional final against Weston in the state tourney. Photo by Ken Yuszkus/Salem News, Friday, August 12, 2011.